A clip of the DVD Shamanic Dreamtime Experience 2002. 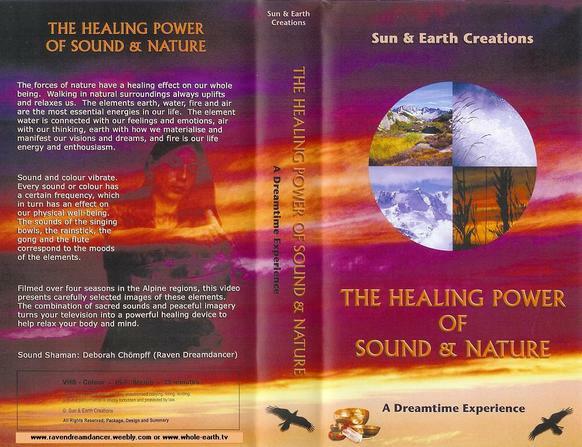 The video Healing Power of Sound & Nature was made in 2002. Now also available on DVD (Pal and NTSC). 35 minutes beautiful images of a day in the mountains of Switzerland and empowered by the sounds of Tibetan singing bowls, gong, bells, rainstick and indian flute that make the images come vibrantly alive and have a transformative effect on your energetics (body, aura and chacra's).